Your boutique photo service. No ads. Great prices. Excellent support since 1999. Here’s the biggest secret: you can get 7.6 cent prints every week — just look for the Reader’s Reward code in your weekly dotphoto newsletter. 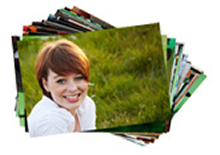 You can print up to 1000 photos per order, so the Reader’s Reward can save another $4 per order. And you can print as many orders as you like; every time you order more than $10, shipping is free. Sign up for the free dotphoto newsletter here. Next Next post: Mail a custom photo card from your desk — only $1.99! Getting more out of dotPhoto Blog at WordPress.com.